Imprint Method: Printed - Brighten up their commute with this BPA free tumbler! This 16 oz. PolyG tumbler is made from a brightly colored acrylic. Featuring a double wall for insulation, this travel mug keeps your drinks hot or cold and the included lid helps prevent spills. 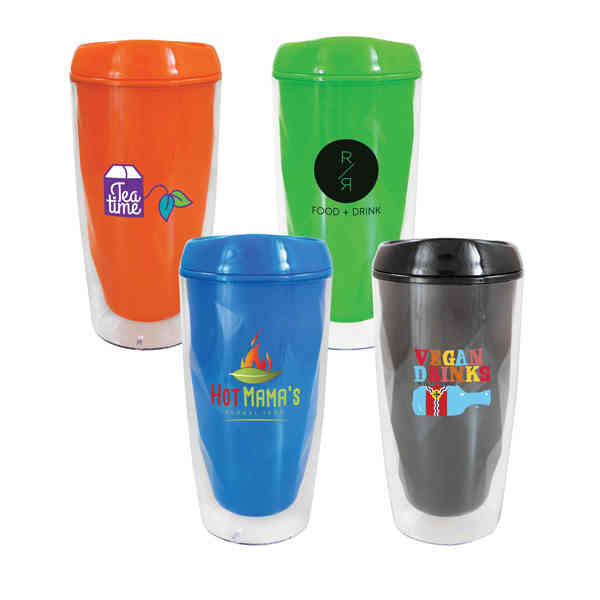 Make this product a successful addition to your campaign with a custom imprint of your logo or advertising message. This commute accessory is a great promotional item at tradeshows or conventions! Printed Optional Multi Color Imprint Factory must approve artwork. Additional production time required. Price Includes: Per insertion. Please call factory for approval and project specific pricing.